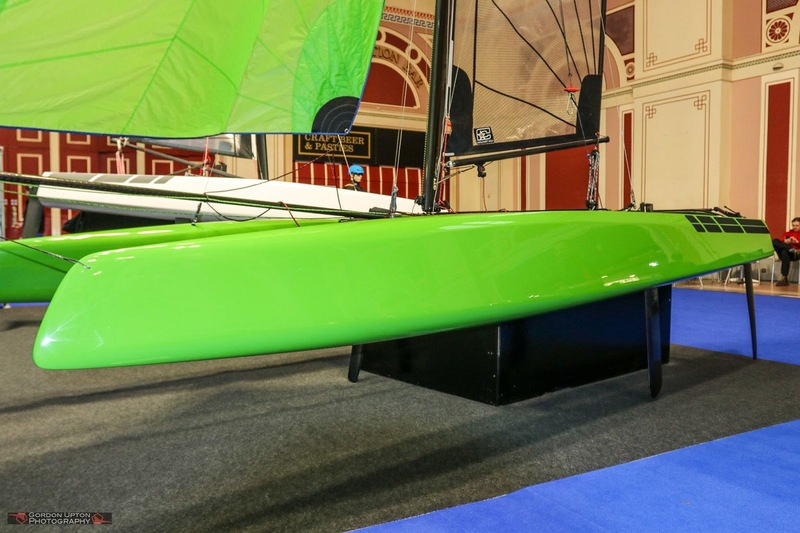 The guys at Outlaw Sailing in the UK are the sailors behind the S1 concept built by Michele Petrucci. They identified a niche of the market where a single handed with Main and Spi will serve an specific sailor target. For a new boat these days is rather a special choice using straight boards and rudders, I would have fitted a set of removable winglets at least to stabilize downwind rides on the S1 fat planning transom. On costs this setup can be a good alternative to sail simple and no worries. The 16' daggerless recreational cat I build is nice to sail it solo too. Update: Just got S1 price from Michele, its indeed a special target, I will get a report from him & Outlaw the S1 soon. Outlaw joined with the Royal Yachting Association and they gather Daniel Henderson (Skiff Musto) & Rhos Hawes (470 British Sailing Team) to test the S1 along the new Jib Turbo package for the S9, Michele's foiling machine.